The Slave craton is an Archean granite-greenstone terrane located in the northwestern part of the Canadian shield. The Archean history of the craton spans the interval from 4.03 billion years ago, the age of the world's oldest rocks, known as the Acasta Gneisses exposed in a basement culmination in the Wopmay orogen, to 2.6-2.5 billion years ago, the age of major granitic plutonism throughout the province. The margins of the craton were deformed and loaded by sediments during Proterozoic orogenies, and the craton is cut by several Proterozoic mafic dike swarms. Most of the volcanic and sedimentary rocks of the Slave craton were formed in the interval between 2.7 and 2.65 billion years ago. Syntectonic to post-tectonic plutons form about half of the map area of the province. The geology of the Slave Province shows some broad-scale tectonic zonations if the late granites are ignored. Greenstone belts are concentrated in a narrow northerly trending swath in the central part of the province, and the relative abundance of mafic volcanics, felsic volcanics, clastic rocks, and gneisses is different on either side of this line. The dividing line is coincident with a major Bouger gravity anomaly and with an isotopic anomaly indicating that older crust was involved in granitoid petrogenesis in the west, but not in the east. Greenstone belts west of the line comprise predominantly mafic volcanic and plutonic rocks, whereas volcanic belts to the east contain a much larger percentage of intermediate and felsic volcanic material. This is most evident in a large belt of northwest-trending felsic volcanics extending from south and east of Bathurst Inlet toward Artillery Lake. Quartz-ofeldspathic gneisses older than the greenstones are rare throughout the province and are confined to a line west of the central dividing line. 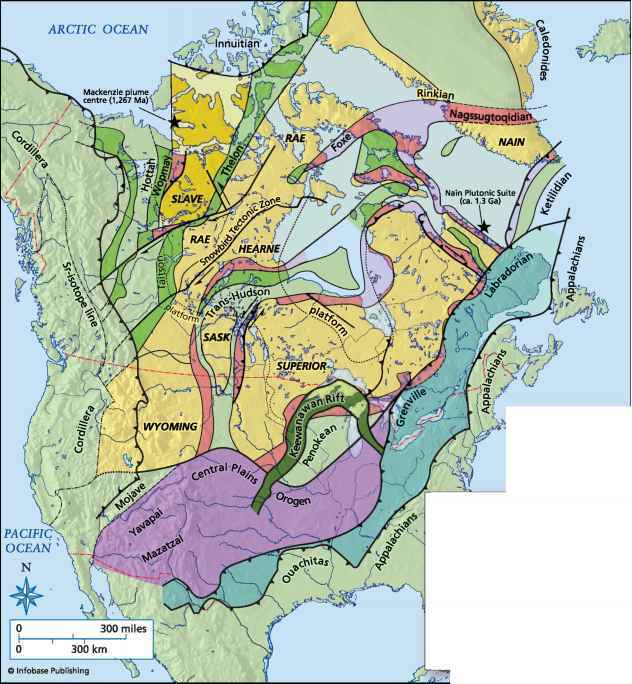 In the middle 1980s, American geologist T. M. Kusky proposed that these major differences in geology across the Slave Province reflect that it is divided into a number of different tectonic terranes. 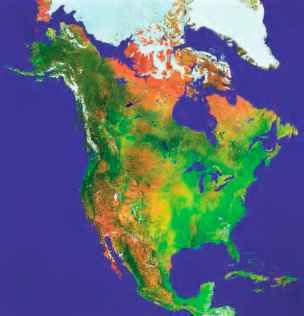 These ideas were initially debated but later largely accepted and modified by further mapping, seismic surveys, and geochemical analysis. An older gneissic terrane in the west, known as the Anton terrane, contains the world's oldest known rocks and is overlain by a platform-type sedimentary sequence. The Cont-woyto terrane and Hackett River arc represent an accretionary prism and island arc that accreted to the Anton terrane in the late Archean, uplifting the Sleepy Dragon terrane in a basement culmination. I I Archean cratons —Thrust fault the world, the 4.03 billion-year-old Acasta gneisses exposed in a basement culmination along the border with the Wopmay orogen (slightly older rocks have recently been suggested to be present in Labrador, but their age is debated and the uncertainties on the dating methods are large). Also, 3.48 to 3.21 billion-year-old tonalitic gray gneisses are exposed in several locations, and similar undated old gray gneissic rocks are preserved as inclusions and small outcrop belts within a sea of younger granites in the western part of the craton. several different types of gneissic rocks are present in these areas, including a variety of metamorphosed igneous and sedimentary rocks. The oldest type of gneiss recognized in most places includes tonalitic to granodioritic layers with mafic amphibolite bands that are probably deformed dikes. Younger orthogneisses have tonalitic, grano-dioritic, and dioritic protoliths, and migmatization is common. Locally, especially near the eastern side of the Anton terrane, the older gneisses are overlain by a shallow-water sedimentary sequence that includes quartz-pebble conglomerate, quartzite, metapelite, and metacarbonates. These rocks are likely the remnants of a thin passive margin sequence. 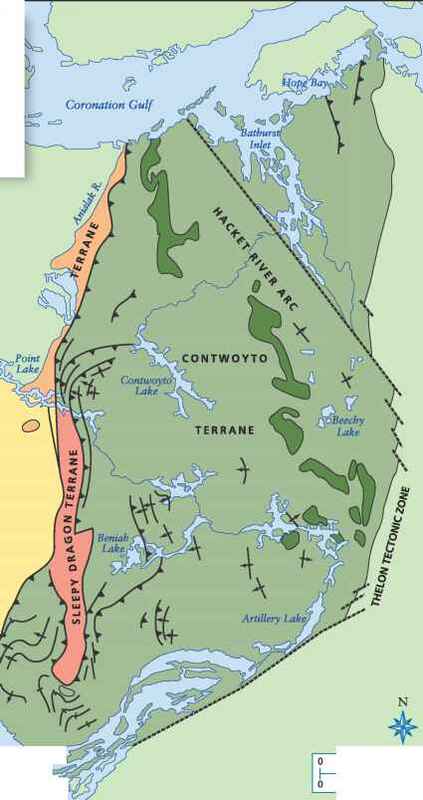 The Sleepy Dragon terrane extends from northeast of Yellowknife to the south shore of the south arm of Point Lake. This terrane includes intermediate to mafic quartzofeldspathic gneiss complexes such as the 2.8-2.7 billion-year-old Sleepy Dragon complex in the south, banded and migmatitic gneisses near Beniah Lake, and 3.15 billion-year-old chloritic granite on Point Lake. Isolated dioritic to gabbroic bodies are found as inclusions and enclaves. The most common protoliths to the gneisses are tonalites and granodiorites, and rock types in the Sleepy Dragon terrane are broadly similar to those in the Anton terrane. Sleepy Dragon gneisses are locally overlain unconformably by shallow water sedimentary sequences, notably along the southeastern margin of the complex near Detour Lake. Here, a basal tonalite, pebble-bearing conglomerate grades up into metaquartzose and calcareous sands, and then into a metacarbonate sequence consisting of marbles and calc-silicate minerals. From base to top this sequence is only 1,600 feet (500 m) thick, but it has been shortened considerably. Several tens of kilometers north at Beniah Lake in the Beaulieu River greenstone belt, up to 3,200 feet (1,000 m) of quartzite are recognized between shear zones. There are thus several locations where shallow water sediments appear to have been deposited on Sleepy Dragon gneisses. The similarities of the lithofacies successions in these rocks to those found in Phanerozoic rift and passive margin sequences are striking. The Contwoyto terrane is composed of laterally continuous graywacke mudstone turbidites exposed in a series of westward-vergent folds and thrusts. Mapping in the Point Lake area revealed westward-directed thrusts placing high-grade metagraywackes over lower-grade equivalents. The graywackes are composed of matrix, rock fragments (felsic volcanics, mafic volcanics, chert, granite), and feldspars. Typically only the upper parts of the Bouma sequence are preserved. Black shales and iron formations form thin layers, especially near the structural base of the sequence. In many places greenstone belts conformably underlie the sediments, but the bases of the greenstone belts are either known to be truncated by faults or are poorly defined, suggesting that they are allochthonous. Ophiolite-like stratigraphy, including the presence of sheeted dikes and cumulate ultramaf-ics, has been recognized in several greenstone belts. other greenstone belts of the Contwoyto terrane are composed predominantly of basaltic pillow lavas and exhibit both tholeiitic and calc-alkaline differentiation trends. like characteristics. These rocks are contained in westward-verging folds and are disrupted by westward-directed thrusts. A series of granitoids intruded this package of rocks at various stages of deformation. These relationships are characteristic of an accretionary prism tectonic setting. In such an environment graywackes are eroded from a predominantly island arc source, as well as from any nearby continents, and are deposited over ophiolitic basement capped by abyssal muds and iron formations. Advance of the accretionary prism scrapes material off the oceanic basement and incorporates it in west-ward-vergent fold-and-thrust packages. This material is accreted to the front of the arc, and is intruded by arc-derived magmas during deformation. Meta-morphism is of the low-pressure, high-temperature variety and is similar to that of accretionary prisms that have experienced subduction of young oceanic crust or subduction of a ridge segment. The Hackett River arc consists of a series of northwest striking volcanic piles and synvolcanic granitoids, especially in the south. Felsic volcanics predominate but a spectrum of compositions including basalt, andesite, dacite, and rhyolite is present. Volcanic piles in the Hackett River arc therefore differ strongly from greenstone belts in the west, which consist predominantly of mafic volcanic and plutonic rocks. In the Back River area, cauldron subsidence features, rhyolitic ring intrusions, tuffs, breccias, flows, and domes, with well-preserved subaerial and subaquatic depositional environments, have been documented. Rhyolites from the Back River complex have been dated at 2.69 billion years old, and the volcanics are broadly contemporaneous with graywacke sedimentation because the flows overlie and interfinger with the sediments. Gneissic rocks in the area are not extensively intruded by mafic dike swarms like the gneisses of the Anton and Sleepy Dragon terranes, and they have yielded ages of 2.68 billion years, slightly younger than surrounding vol-canics. Since none of the gneisses in the Hackett River arc have yielded ages significantly older than the volcanics, deformed plutonic rocks in this terrane are accordingly distinguished from gneisses in the western part of the Slave Province. These gneisses are suggested to represent subvolcanic plutons that fed the overlying volcanics. Another suite of tonalitic, dioritic, and granodioritic plutonic rocks with ages 60 to 100 million years younger than the volcanics also intrude the Hackett River arc. This suite of granitoids is equated with the late- to post-tectonic granitoids that cut all rocks of the Slave craton. A belt of graywacke turbidites in the easternmost part of the Slave Province near Beechy Lake has dominantly eastward-vergent folds and possible thrusts, with some west-vergent structures. The change from regional west vergence to eastward vergence is consistent with a change from a forearc accretionary prism to a back-arc setting in the Beechy Lake domain. The Hackett River terrane is interpreted as an island arc that formed above an east-dipping subduction zone at 2.7 to 2.67 billion years ago. The mafic to felsic volcanic suite, development of caldera complexes, and overall size of this belt are all similar to recent immature island arc systems. The Cont-woyto terrane is structurally and lithologically similar to forearc accretionary complexes; west-vergent folds and thrusts in this terrane are compatible with eastward-dipping subduction, as suggested by the position of the accretionary complex to the west of the arc axis. The change from west to east vergence across the arc-axis into the Beechy Lake domain reflects the forearc and back-arc sides of the system. Mafic volcanic belts within the Contwoyto terrane are interpreted as ophiolitic slivers scraped off the subducting oceanic lithosphere. The Anton terrane in the western part of the Slave Province contains remnants of an older Archean continent or microcontinent including the world's oldest known continental crust. Quartzofeld-spathic gneisses here are as old as 4.03 billion years, with more abundant 3.5-3.1 billion-year-old crust. These gneissic rocks were deformed prior to the main orogenic event at 2.6 billion years ago. The origin of the gneisses in the Anton terrane remains unknown; many have igneous protoliths, but the derivation of the rocks is not yet clear. The sleepy Dragon terrane might represent a microcontinent accreted to the Anton terrane prior to collision with the Hackett River arc, but more likely it represents an eastern part of the Anton terrane uplifted and transported westward during orogenesis. studies at the southern end of the sleepy Dragon terrane have shown that the gneisses occupy the core of a large fold or anticlinorium, consistent with the idea that the sleepy Dragon terrane represents a basement-cored Alpine style nappe transported westward during the main orogenic event. The distribution of pregreenstone sediments lying unconformably over the gneisses is intriguing. At Point Lake, a few meters of conglomerates, shales, and quartzites lie with possible unconformity over the Anton terrane gneiss, whereas farther east, up to 1,600 feet (500 m) of sediments unconformably overlie sleepy Dragon ter-rane gneisses. These include basal conglomerates and overlying sand, shale, and carbonate sequences, and thick quartzites with unknown relationships with surrounding rocks. These scattered bits of preserved older sediments in the slave Province may represent remnants of an east-facing platform sequence developed on the Anton-sleepy Dragon microcontinent. 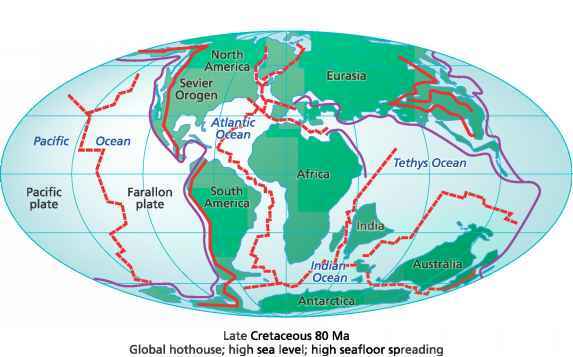 In a simple sense, the tectonic evolution of the slave craton can be understood in terms of a collision between an older continent with platformal cover in the west with a juvenile arc/accretionary prism in the east. The Anton terrane experienced a sequence of poorly understood tectonomagmatic events between 4.03 and 2.9 billion years ago, then was intruded by a set of mafic dikes probably related to lithospheric extension. After extension, the thermally subsiding Anton terrane was overlain by an eastward thickening shallow-water platform sequence. To the east, the Hackett River volcanic arc and Contwoyto terrane are formed as a paired accretionary prism and island arc above an east-dipping subduction zone. Numerous pieces of oceanic crust are sliced off the subducting lithosphere, and synvolcanic plutons intrude along the arc axis. Any significant rollback of the slab or progradation of the accretionary wedge will cause arc magmas to intrude the accreted sediments and volcanics. Graywacke sediments are also deposited on the back side of the system in the Beechy Lake domain. As the arc and continent collided at about 2.65 billion years ago, large ophiolitic sheets were obducted, and a younger set of graywacke turbidites was deposited as conformable flysch. This is in contrast to other graywackes that were incorporated into the accretionary prism at an earlier stage and then thrust upon the Anton terrane. There are thus at least two ages of graywacke sedimentation in the Slave Province. Older graywackes were deposited contemporaneously with felsic volcanism in the Hackett River arc, whereas younger graywackes were deposited during obduction of the accretionary prism onto the Anton continent. Synvolcanic plutons along the arc axis became foliated as a result of the arc-continent collision, and back-thrusting shortened the Beechy Lake domain. Continued convergence caused the uplift and transportation of the Sleepy Dragon terrane as a basement nappe and strongly attenuated greenstone slivers. Numerous late- to post-tectonic granitoids represent postcollisional anatectic responses to crustal thickening, or pressure-release melts formed during postcollisional orogenic extension and collapse. These suites of granitoids have similar intrusion ages across the province.